Every summer we see more food truck or pop-up restaurants and festivals. How can your business benefit from these events and be protected from common summertime risks? 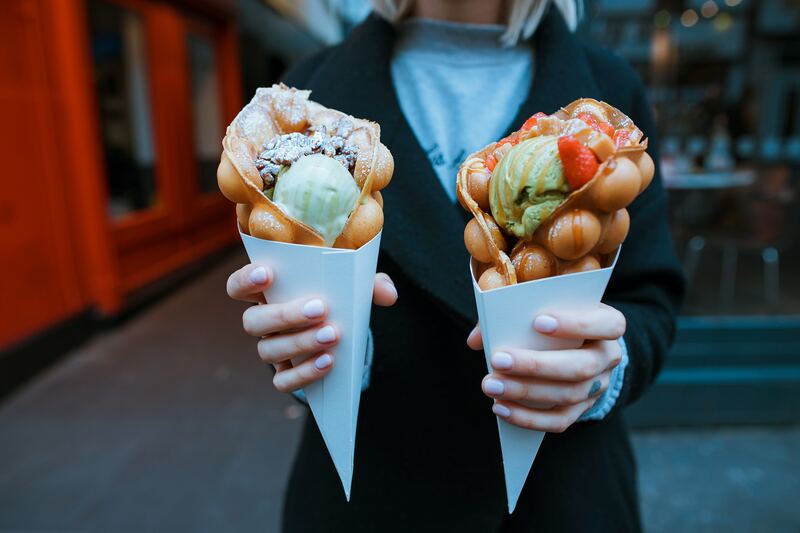 Having business insurance can make a big difference when trying to land more venues for your food truck or temporary restaurant. For example, most organizers and venue owners require that food trucks carry at least $1 million in general liability coverage. But with food truck and pop-up restaurants ever-changing laws, many small business owners are unaware of this. Modern Restaurant Management (MRM) magazine asked Denise Smith, Commercial Insurance Broker, Insureon for tips on insurance plans that cover this part of the industry. How important is insurance for vendors interested in festivals? Insurance is crucial for food trucks, concessionaires and vendors looking to set up shop at festivals because it protects the event’s organizers, venues and employees, as well as the food truck itself. Most festivals and other events require food trucks, concessionaires and vendors to carry a minimum of $1 million in general liability coverage, which only covers them for that specific event, not for their continued operations after the festival. This minimum coverage will just allow the food truck to get its foot in the door – not cover it in its entirety as a business. Because of this, typically it is not recommended that food trucks, concessionaires and vendors purchase insurance on an event-by-event basis, due to the high costs and multitude of risks to which this practice leaves them exposed. Instead, it’s advised food trucks, concessionaires and vendors to purchase insurance on a yearly basis, and extensively research the right coverage for their specific needs. Not only will be this route be less expensive and enable food trucks to participate in most events and festivals, but it will also ensure they are protected against any risks that may come their way over the course of the year. What is the difference in coverage for food truck vendors vs. festivals? Insurance policies for a specific event are very different than holistic insurance coverage for your food truck. Typically, most festival organizers and venue owners require that food trucks and vendors carry at least $1 million in general liability coverage. However, only meeting the requirements for a specific event doesn’t ensure that food truck owners are investing in insurance that will allow their businesses the mobility and freedom they may need to grow. It’s also important that food truck owners keep in mind that their businesses require different types of insurance policies for the many functions they perform. For example, property insurance can help protect the equipment and additional property built onto the truck, while commercial auto insurance helps cover the truck while it’s in motion to a festival or new location. Food truck owners should also consider purchasing workers’ compensation insurance, which can pay for workers’ medical bills if they’re injured on the job. Most states require business owners to purchase this coverage, although the laws can vary from state to state. Some states don’t mandate coverage unless businesses have at least five workers, while others require it for even one employee. What are common issues that come up? Though they work hard to mitigate them, food truck owners and their employees face a number of challenges and risks that traditional brick-and-mortar restaurants don’t. For example, because it’s difficult to regulate temperatures on a food truck, especially during the summer months, the risk of food contamination and food poisoning is higher than normal. Food trucks are also at a greater risk of accidentally exposing customers with food allergies to an allergen, due to the food being prepared within close proximity of all ingredients. Slip and fall injuries both in and around the truck is another common risk that food truck employees face. These injuries can occur when the truck is being set up for an event, during the fast-paced process of preparing and serving food to customers or even to customers who are being served around the truck. Food trucks are also at a greater risk for loss and theft of food and other supplies. What kind of insurance do vendors need to stay protected? Do requirements differ from state to state? General liability insurance, which protects food truck operators from third-party lawsuits over customers’ illnesses, bodily injuries, slander, false advertisement, copyright infringement on advertisements and property damage. It’s a basic business insurance policy that will protect your food truck against some of the most common lawsuits and pay for legal expenses that could otherwise bankrupt your business. Business owner’s policy, which combines general liability insurance with business content coverage, covers basic third-party lawsuits as well as your physical property (i.e. equipment, workspace, inventory, etc.). Bonus: this policy will cost less than buying property and general liability separately. Commercial auto insurance, which covers many of the costs related to an auto accident and is often mandatory for food trucks to have before filing for city permits or licenses. These plans also can cover repair costs, legal expenses if you’re sued and medical costs if you injure another person. Some policies may also include protection if an uninsured driver hits your truck. Worker’s compensation insurance, which pays for the medical expenses, lost wages and lawsuits if one of your employees were to be injured on the job. Depending on state laws and contract requirements, you may consider purchasing this policy to cover employees or contractors, or even yourself, in the case of injury. With that said, each food truck and vendor has its own unique needs, so owners should always do their research and speak with an insurance agent to determine what policies their city and state governments require before purchasing any mobile food truck permits and licenses.